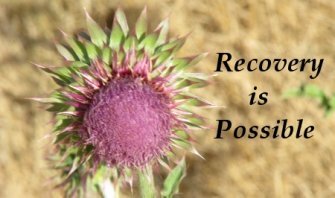 Addiction Recovery Now! is a weekly radio program that discusses Alcoholism and Addiction recovery. Drug-Addiction-Support.org is a website built to answer the questions and concerns of those harmed by drug and alcohol addiction. It’s a collaborative effort between many people and resources so that you receive the most up-to-date information available. Our goal is to be independent and not promote any treatment center over another but give you the tools to make a well-informed decision. We do recommend that everyone suffering from this destructive disease join a 12-Step group either through your local church, AA, or NA. If you are a family member or loved one of an addict we recommend you begin the 12-step process with Al-Anon a local organization set up to help you through this challenging situation. Addiction Recovery Now! :Joe Herzanek discusses Step 7 of the Twelve Step program: Humbly asked Him to remove our shortcomings. This step rally increases the changes in a person's life as they move into recovery from addiction. Addiction Recovery Now! : Joe Herzanek discusses Step 6 of the Twelve Step program: Were entirely ready to have God remove all these defects of character. A subtle but very key step in your recovery. Addiction Recovery Now! :Pam Eichler continues her discussion of transitional living and the Wisconsin Nazarene Compassionate Center for transitional housing. What is transitional housing and how does it try to help people. Addiction Recovery Now! :This program Pam Eichler introduces the Wisconsin Nazarene Compassionate Center for transitional housing. What is transitional housing and how does it try to help people continue to recover from addiction and alcoholism. This program introduces our discussion of alcoholism, depression and suicide how are they interrelated and how can you try to cope with them. Carolyn Hutsen tells her story to help shine a light on these issues.